At Parkway Elementary, we appreciate our involved parents and community members. We also enjoy broadcasting our latest news and information here on our News page, where we will chronicle school activities and student achievements and publish announcements. We’ll also offer helpful resources and information. Congratulations to our amazing music education staff! 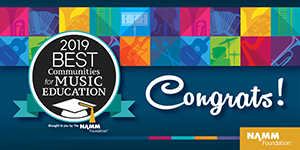 NAMM has again chosen Paramus Public Schools as one of the Best Communities for Music Education in 2019! The award program recognizes outstanding efforts by teachers, administrators, parents, students, and community leaders who have made music education part of a well-rounded education. 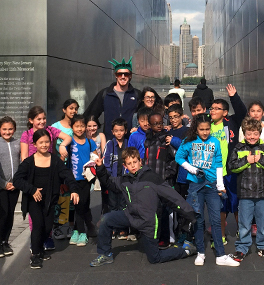 Designations are for districts and schools that demonstrate an exceptionally high commitment and access to music education.